Hyperpigmentation is just one of the many skin pigment-related issues affecting millions of people worldwide. This is mainly caused by a deficiency in or an excessive production of melanin, the pigment respponsible for skin color in humans. Hyperpigmentation can be caused by sun damage, inflammation, or other related skin disorders, including acne vulgaris. Hyperpigmentation is more common on the face and on the back of the hands. There are various treatments involved in treating hyperpigmentation effectively. Here, we have provided some of the best treatments that may help in alleviating hyperpigmentation. Kojic acid is a by-product from the fermentation of malting rice, used in the production of the Japanese drink sake. This product works as an enzyme inhibitor. Kojic acid has been found to inhibit melanin formation, and its esters’ antioxidant activity has also shown promise in enhancing the depigmenting effect. Kojic acid is effective only in some people, as its use may result in skin irritation and itching. If these are experienced, its used should be stopped immediately and the patient must consult a skin expert who could prescribe another substance. It is also recommended for those who develop an irritation to hydroquinone, which is the first treatment of choice for hyperpigmentation. Hydroquinone is a chemical compound that is derived from the benzene that lightens the skin by breaking the melanin particles present in the body. This is done by inhibiting tyrosinase in the body. Since benzene is a cancer-causing substance, many countries have banned the use of hydroquinone, except the United States, in particular. Apparently, the fumes that come from hydroquinone affect the lining of your nose and throat and may also harm the eyes. Applying hydroquinone may also cause the skin to be inflamed, thickened, and hyperpigmented. Thus, although extremely effective, hydroquinone should only be used with caution. The way hydroquinone works is not that clear, but it is believed to work in two ways: One is it may cause the degradation of melanosomes – the bundles of pigmentation on the skin – and two, it may inhibit the formation of melanosomes. As there aren’t a lot of side effects reported about hyperpigmentation cures, you can try two or more of the treatments at the same time – always in prescribed dosages, of course. Here, we provide some suggestions that can be followed by people affected by hyperpigmentation. Try making a homemade topical concoction of curd, lemon juice, papaya pulp, tamarind paste, and pineapple juice. This will help in lightening your skin complexion. 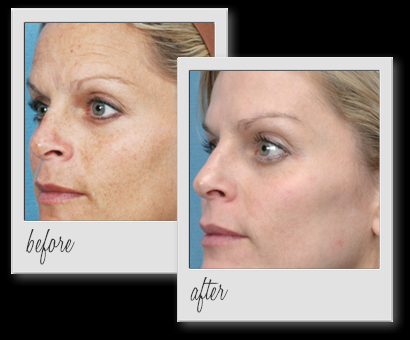 Although hyperpigmentation is very common, there are a lot of treatment options available for its effective treatment. You need to consult a doctor to know which option is best for your body condition. 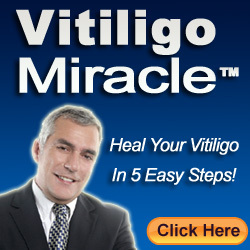 What Is Vitiligo Organics? What Is It Made Of? White Blotches On Skin- Causes And Treatment? What Is Vitiligo? What Are It’s Types? Is Vitiligo Contagious? Does It Spread From Physical Contact? Is Vitiligo Curable? Can You Cure Vitiligo By Treatment? What Are The Common Vitiligo Symptoms? How Does Vitiligo Protopic Work? How To Use It?